Our Molson Promotion is Back! Residents of Ontario - CARHA Hockey is happy to announce that our partnership and promotion with Molson and Coors Light is BACK! This means that you'll once again have the opportunity to win amazing prizes by submitting your beer and bar receipts to CARHA Hockey. That's right, all you have to do is send us your receipts of Coors Light or Molson product purchases, whether it's from the store or the bar, and you'll be entered to win! 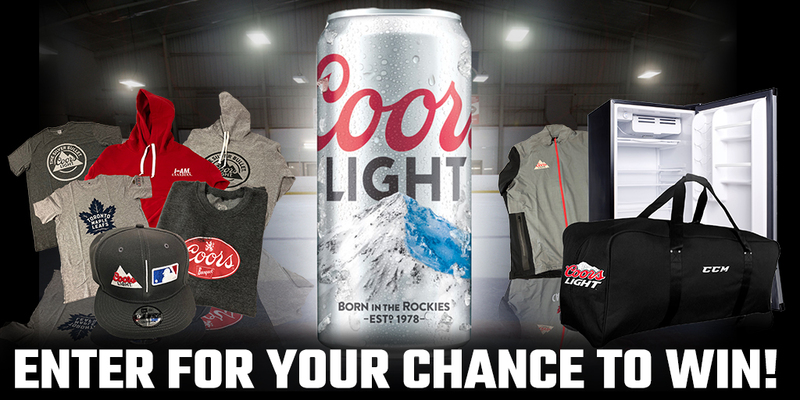 This time around, monthly prizes consist of Coors Light and Molson hats, shirts, hoodies, and our three Grand Prize winners are set to take home a Coors Light jacket, hockey bag, and a mini-fridge! Visit the Molson promotion area on our website for more information, and start submitting your receipts right away!